Huh, so this is pretty cool. 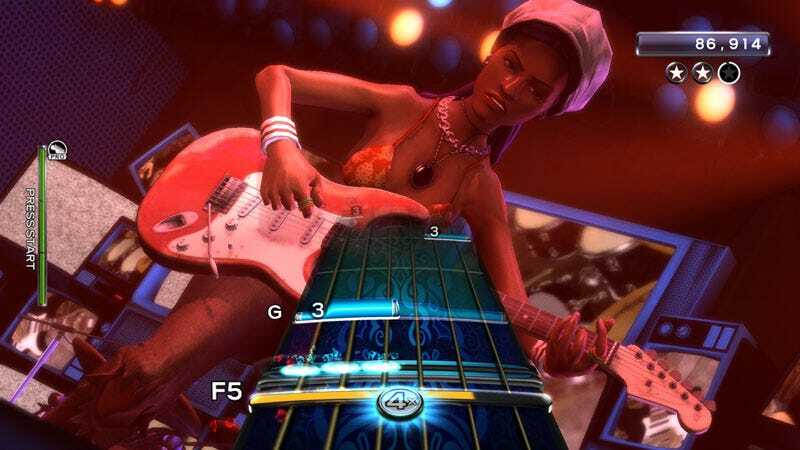 After 21 months of silence, the PS3 and Xbox 360 versions of Rock Band 3 are getting some new songs, developer Harmonix announced today. It might seem strange for a game released in 2010 to get new content so late in the game. But then again: it's not like people have stopped making music! Avenged Sevenfold – "Shepherd Of Fire"
Foo Fighters – "Something From Nothing"
I know what you're thinking: not one of these songs comes from Taylor Swift's stupendous 2014 album "1989." I'm sad about that, too. But hey, if we were able to convince Harmonix to add "Call Me Maybe" to Rock Band, I see no reason that Tay couldn't make it in as well...as long as she wouldn't try to pull another "No Swift For You" move like she did with Spotify last year. Fingers crossed.